In Southeast Asia, coconut oil is widely used in Thai dishes, curries and other meals. This milk-like product is made from the center of ripe coconuts and transformed into a liquid. You can drink coconut milk as it is or use it in other dishes. Sometimes, you may not have coconut milk available to make your favorite dishes. In these cases, you may need to find a substitute for coconut milk. In addition, some people have a coconut allergy and cannot use this type of product. There are a number of alternative options that you can use, although none of them will have the exact taste of coconut milk. The best option for you will depend on your person tastes and the type of dish that you are cooking. Coconut milk is often used in dishes because of its creamy texture. This is especially true in diet products where creamy alternatives like butter cannot be used. 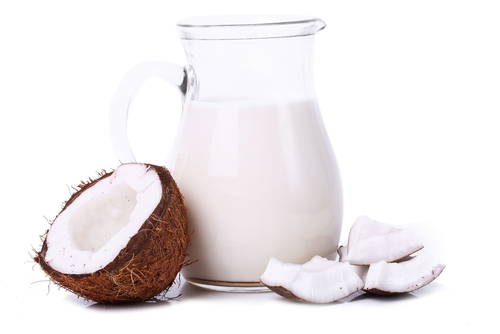 Because of coconut milk’s unique flavor and texture, it is not always easy to replace. There are several alternatives you can use depending on the type of dessert, dish or curry that you are making. While nut milks have a nuttier flavor than coconut milk, it is still a good replacement for your dishes. The coconut flavor is replaced with a nut flavor, which gives your dish the extra balance that it needs. Almond milk is the most common option, but you can find other nut milks at your grocery store or food co-op. Since some of these nut milks are made with a lot of sugar, you should look for an option that contains less sugar. In addition, you can add cornstarch or gelatin to the milk if you need a thicker texture. Spiced milk is by far the most popular alternative for coconut milk. It has a similar creaminess and a delicious flavor without having to use coconut milk. To create this mixture, add your favorite milk to a sauce pan. Blend in cloves, curries, cinnamon, nutmeg or peppers depending on the dish you are making and the type of taste that you want. The heating will help the milk absorb the flavors and thicken up. Just be careful that you do not accidentally scald the milk. Make sure to stir regularly to prevent scalding. Yogurt has the creamy, thick texture that many recipes need when they call for coconut milk. You can use almond, soy or cow milk yogurt. For a thicker consistency and wonderful flavor, try using Greek yogurt. Yogurts are rich in probiotic bacteria, vitamins, protein and minerals, so they are an excellent addition to your dish. Depending on what you are making, you can even select different flavors. 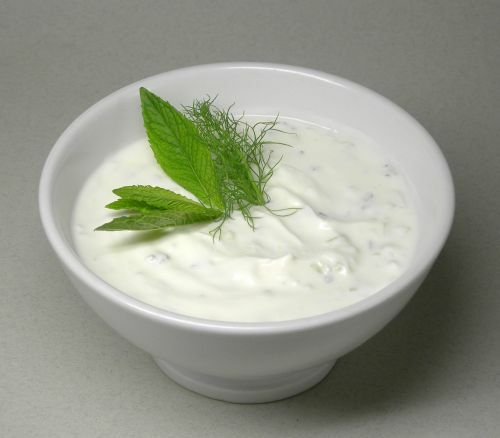 If you just want the dish’s flavors to stand out, use plain yogurt. Normally, coconut milk will add liquid and fats to dishes, which makes it ideal for baking. You can create a substitute for coconut milk by using your favorite liquid and an oil. For a simple option, try using ¾ cup water and ¼ cup olive oil to replace a cup of coconut milk in your baked items. Soy milk is an easy, natural substitute for coconut milk. It is sold at nearly every grocery store and is available in a powdered or liquid form. Most soy milks do not have to be refrigerated until they have been opened. Soy milk is known for having a neutral flavor and fewer calories than coconut milk. Since it is made from soybeans, it has a high concentration of vitamin D, calcium, vitamin B12 and riboflavin. A single cup contains half of your daily vitamin B12 intake. Plus, soy milk is also rich in protein. Silken tofu can help you minimize calories while boosting your protein intake. After you puree the tofu, it can be used to add a thicker, creamier texture to your dishes. If you want some other options, you can always use ¾ cup of condensed milk for every 1 cup of coconut milk needed in your recipe. Low-fat cream cheese and milk can be used in equal parts to replace coconut milk. For a thick, rich alternative, try replacing your coconut milk directly with heavy cream. You can also use 1 cup of evaporated milk to replace one cup of coconut milk. If you are allergic to coconut flakes or need to lower your fat intake, you may not be able to add these sweet flakes to your favorite cookies. Instead of using coconut flakes, you can use dried fruits like raisins and cranberries instead. It will still add a chewiness to your favorite dessert, but it will be a healthier alternative. Dried fruit is also ideal for your salads, or you can try using nuts and seeds. If you need coconut flakes for a crust or similar dish, you can grind up the berries, dried fruit or nuts to use instead. Coconut flour is amazing at absorbing excess liquid, so you cannot substitute one cup of coconut flour for one cup of regular flour. While you can experiment to find the right amount of wheat flour, it would be much easier to just find a recipe that actually uses the flour that you have. Otherwise, your dish may turn out poorly. If you must use the same recipe, consider trying nut flours like hazelnut or almond. Arrowroot powder and tapioca starch can also be substituted for coconut milk because they will help to thicken your sauces. While coconut sugar comes from a plant, it is not any healthier than regular sugar (which also comes from a plant). The sugar is made from the sap of the coconut tree and can cause your blood sugar to rise. If you are allergic to coconuts or want a different sweetener, try switching to molasses and honey. The amount of honey that you would need may vary, so you may have to experiment until you can figure out the right amount.